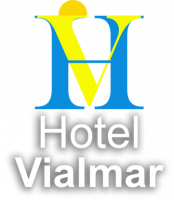 Hotel Vialmar is situated in Meis and has a garden, a shared lounge and a bar. This 2-star hotel offers a 24-hour front desk. Free WiFi is available. The hotel offers a sun terrace. Guests at Hotel Vialmar will be able to enjoy activities in and around Meis, like hiking. Isla de la Toja is 8 km from the accommodation, while O Grove is 10 km from the property. The nearest airport is Vigo Airport, 31 km from the property.